It might not feel like summer, but that doesn’t stop the inevitable onslaught of party season. MT asked Julia Dowling, managing director of Snapdragon Parties, for her tips on being the perfect host. 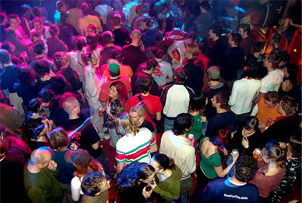 The most successful corporate parties and events are fun. While it is good to demonstrate a measurable return, it is often the intangible benefits on business relationships which can turn out to be the most important. So don’t scrimp on the things people will most enjoy. What feeling do you want your guests to leave with? Think about what you want to hear them say and then work backwards to create a brief which will bring that key message to life and make it stick in their memory. Treating a party or some other event as an opportunity to develop your staff’s organisational skills is seldom a good idea: professionals know how to get the best from your budget, access the best suppliers and how to translate your aims into reality. A great event or party is one of the best ways to overcome any negative misconceptions that people may have about a brand. Think about what those perceptions might be and then work with your event planner to come up with imaginative ways to dispel them forever. Consider events as an integral part of your marketing strategy. It need not be obvious but a party, as well as a launch or some other event, can complement your PR and marketing strategy. Almost all events have the potential to sell, market, build brand awareness, build relationships, provide PR and provide a face-to-face client meeting all in one go. Research what your competitors have laid on and plan something really different to make your event stand out. Creativity, surprises and well-judged personal touches will all pay off. Every event should reflect the guests or target audience. It needs to attract, excite and engage them. You may need to consider a series of smaller events, each tailored to a specific group. Any corporate event is an ambassador of your company. Even if you want to ensure a lightness of touch, it still makes sense to think how everything from the invitations to the décor reflects your core values – just do it in a more subtle and creative way. Consider sending taxis for key clients to make sure they turn up. You could even introduce a 'buddy' system so your own key people keep a regular reminder going. Always over-invite and stay in touch with PAs in the week before an event to steer around any potential problems. Apart from choosing a venue with the wow factor, make sure there is an attraction which will particularly appeal to your guests. The process of follow up is vital in cementing new relationships and reinforcing key messages.